There is a lot of art in Mount Plesant Cemetery. 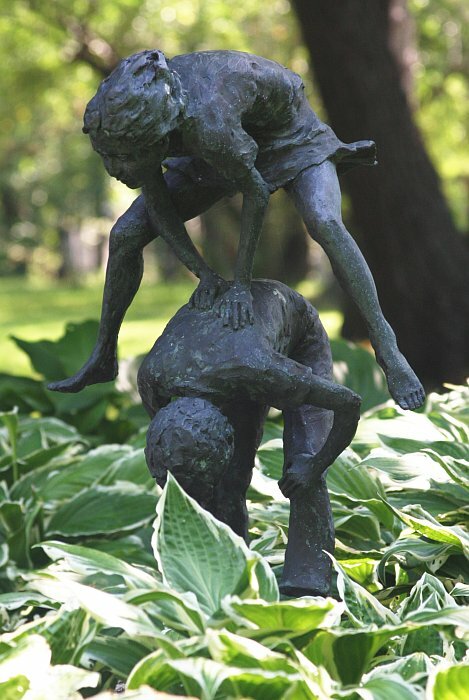 This statue is in the "Children's Garden" section, called "Leap Frog" by Juliet Jancso, 1990. I don't usually carry my flash with me out on my bike, but I could have used it to get more detail showing in the little girl's face.